Dr. David H. Roe is a retired Air Force Brigadier General, former insurance industry executive, and former president of Central College. Since his retirement from Central College in 2010, he and his wife, Betsy, have formed Red Tag Leadership Consulting, a leadership training, and consulting partnership. His education includes a B.S. from the U.S. Air Force Academy where he was Cadet Wing Commander and won a Rhodes Scholarship. He studied physiology and medicine at Oxford University and went on to earn M.S. and Ph.D. degrees in Physiology at the University of Illinois. He was also selected as a White House Fellow in 1975. Taken together, the experience and education gained from his three careers have helped him develop expertise in strategy development, team building, operational and financial planning, teaching, leading organizations, public speaking and serving his communities. 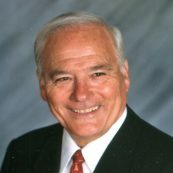 He also has served on and chaired numerous nonprofit boards.